You have a beautiful resort to yourself at Ko Olina. Take a limo service for yourself as well while enjoying a beautiful sightseeing drive through the highways of Oahu headed to such a spectacular secluded resort. 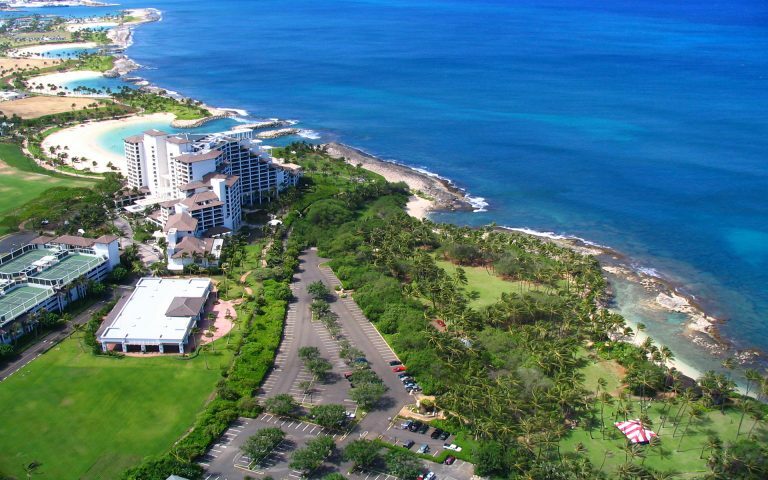 Ko`Olina is a master-planned vacation and residential spot located on the west side of the island of Oahu, also known as the Leeward side. It is located in what is coined as “The Second City” of Oahu (Honolulu being the first), Kapolei. The secluded 2-mile coastal front area is located approximately 20 miles from Honolulu International Airport. So a drive there will provide you with a nice look into the heart of Oahu’s cities, country life, and urban areas. Views of a silhouetted Diamond Head can be enjoyed while traveling on Oahu’s H1 freeway. Travel times may vary going to and from Ko Olina because of the, of course, unpredictable traffic. But, riding in a cool, comfortable luxury limousine with a knowledgeable chauffeur will make your ride experience that much more enjoyable. 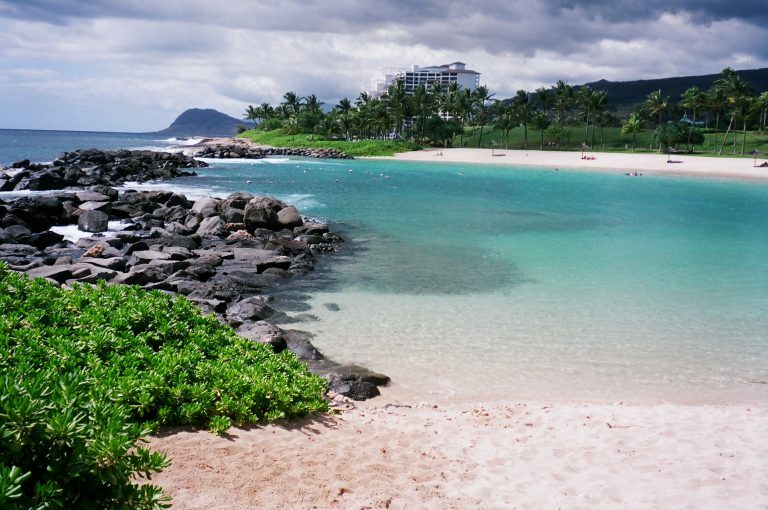 Ko Olina encompasses over 2 miles of white sand beaches and lagoons. 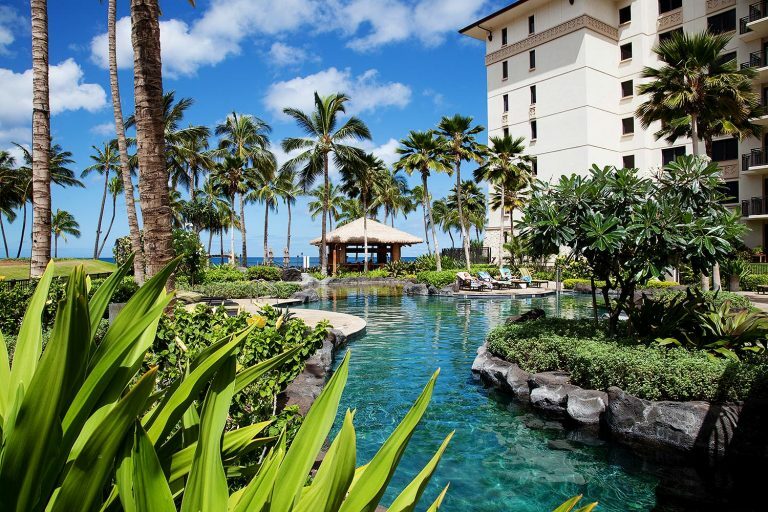 The vacation destinations include Disney’s Aulani Hotel & Resort, Marriott’s Ko Olina Beach Club, The Four Seasons, Ko Oline Beach Villas, as well as an abundant amount of vacation rental properties, condominiums, and homes to stay at. We provide transportation service to and from your stay and any of your destination locations. Hawaii Car Service has also been providing reliable car services to major events hosted in Ko Olina such as the LGPA Lotte Championship, the Hawaii Food & Wine Festival, and the Ko Olina New Year’s Lagoon Spectacular. Don’t forget that we offer limousine services for the major event of them all, your wedding. Other venues in Ko Oline that we offer transportation service to and from are the Ko Olina Golf Club, Ko Olina Marina, and fine dining at the restaurants at Ko Olina Station such as Peter Merriman’s Monkey Pod Kitchen and Roy’s. Book online today or make a reservation via a phone call for your limo service to Ko Olina. We look forward to serving you! Or contact us at 808-926-4444 to make your very own customized Oahu limo tour today!